Services for Anthon Richardson, 97, will be held Saturday, June 16, 2018 at 11:00am with a viewing from 9:30 to 10:30am at The Church of Jesus Christ of Latter-day Saints, Kleinman Park Ward, 616 S Extension Rd, Mesa, Arizona. Anthon passed away peacefully in his home on June 7, 2018 surrounded by his family. He was reunited once again with his eternal sweetheart, Barbara Lorena Tietjen Richardson, who passed away in 2014. Anthon was born May 6, 1921 in Ashurst, Arizona to Gilbert and Barbara Richardson. He is survived by three siblings, Ruth Ray, Larry, and Donald Richardson. Anthon and Barbara were married in the Mesa LDS Temple February 15, 1940. 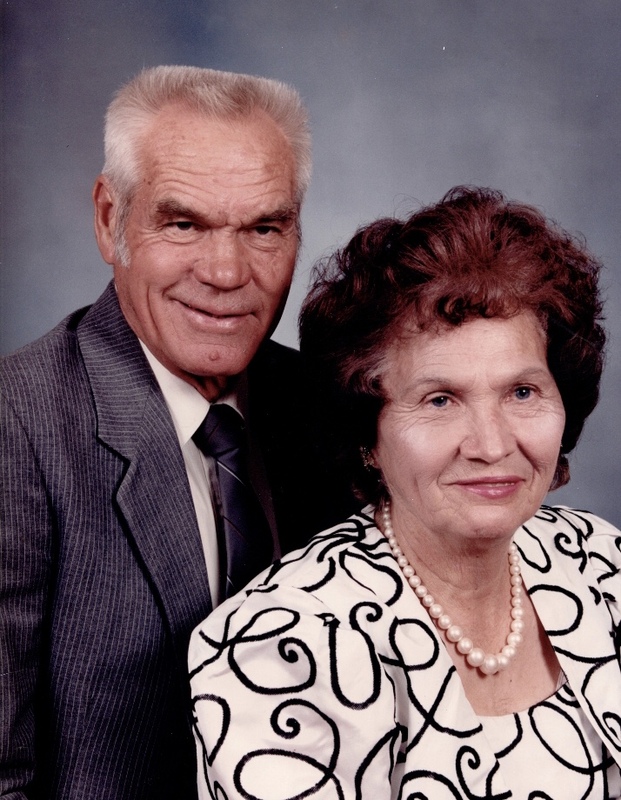 During World War II, Anthon served in the Army Air Corp. Part of that time he was stationed in Alaska where his wife and young son, Gary, were able to join him. Anthon and Barbara had ten children, Gary (Debbie), Paul (Joyce), Leroy (deceased), Garth (Rebecca), Russell (Shelia), Becky (Steve), Bonnie (Daniel), Clay (Shelley), Wade (Shelly), and Brookie (Loren). Anthon and Barbara leave behind a wonderful posterity of more than 300. Anthon and Barbara had the privilege of serving a mission together in Thoreau, New Mexico for The Church of Jesus Christ of Latter-day Saints. We are so grateful for the heritage Anthon left us, and for his positive attitude, patience, love, and guidance.